When you subscribe to NTSE Brainstorm, you get 10 high quality full length papers to help you excel. Further, there are 6 part tests focusing on subject areas and hundreds of mini tests of 10 and 20 questions for more practice. We address all topics and sub topics through our sample papers and you get full variety every time. We ensure that when you download NTSE sample papers for class 10, they are completely aligned to NTSE curriculum and much better than the books or study papers. See how! 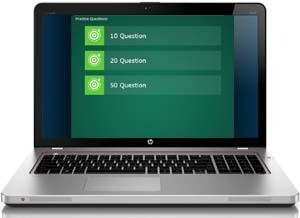 Over 50,000 NTSE MAT sample questions, thoughtfully designed by NTSE experts. MAT is subdivided in to 8 sub topics including series completion, orientation and direction, geometry, odd one out, venn diagrams, patterns and more. Large question bank so that you never fall short of quality sample papers and no questions are repeated. Click here to see how we compare to the usual NTSE books and papers. Click here to download NTSE Brainstorm on your computer and app for android mobile is coming soon. Our program and sample papers are designed by NTSE experts and IITians. Each topic and question is designed after extensive discussion so that you get that perfect practice. No repetition. All NTSE papers will have different, high quality questions that are perfect for class 10 students. Our program carefully monitors your performance in all NTSE model papers and tests (full length or mini). We automatically assess your performance for each type of question e.g. pattern, odd-one-out, modern history, civics or physics. We show you your strength or weakness on each individual subtopic through a detailed feedback. So that you not only practice but also improve. Not possible with your books, we bet! Practice for NTSE ANYTIME & ANYWHERE. NTSE Brainstorm and its sample papers are available on your android phone / tablet and computers. No waiting. No searching. Genuine, high quality questions available anytime, anywhere. Just select your sample paper type (full length or min) and start practicing. Even when you have just 5 minutes. NTSE is a competitive exam. NTSE Brainstorm tracks your performance in sample papers and questions over time and lets you compare and compete with other students of class 10 using this application. Therefore you know, exactly where you stand and how you can improve. For the next 3 weeks, as a special launch price, NTSE Brainstorm for class 10 is available at just Rs 1000. The prices for computer and phone based versions will be increased shortly. Give an edge to your NTSE preparation that no book can. Download all NTSE sample papers now. Further, you get detailed reports and comparison with peers for NTSE. Hundreds of new questions are added daily and you get them all. All this has been perfectly tailored for your computer, so that you can practice anytime, anywhere. Even when you have just 5 minutes. Click here to get the NTSE BrainStorm on your computer and start practicing now. India's best NTSE curriculum package and question bank now comes to your mobile device. Further, you get detailed reports and comparison for all model papers with peers of class 10. Hundreds of new questions are added daily and you get them all. All this has been perfectly tailored for your ANDROID device, so that you can practice anytime, anywhere. Even when you have just 5 minutes.